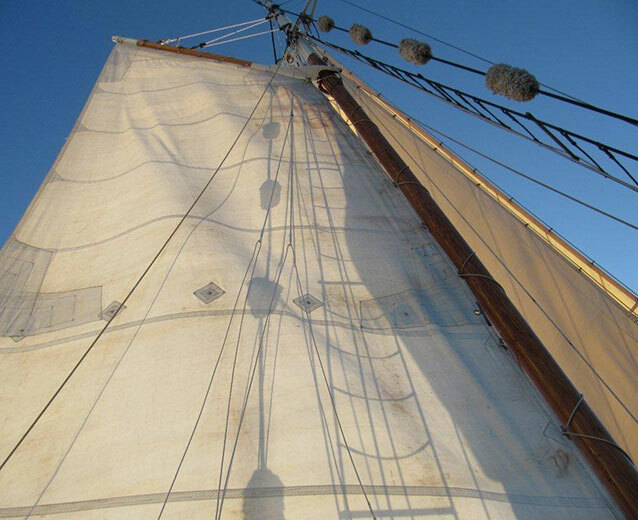 Sailing aboard our traditionally gaff-rigged vessels engages your senses and takes you to another place in time, a time away from a busy world. 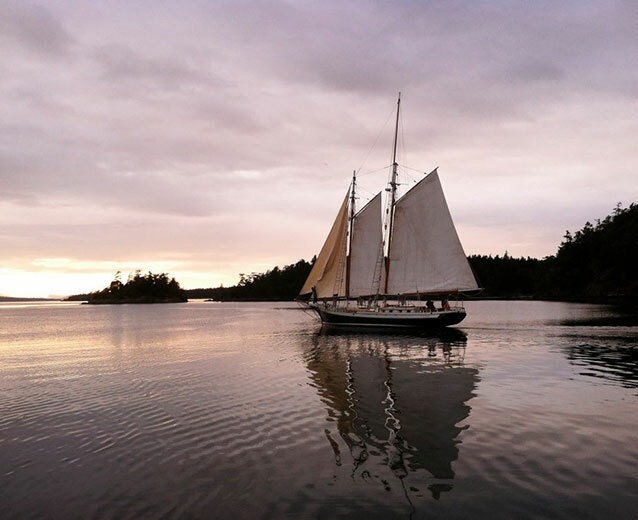 The experience of a cruise in the San Juan Islands, and the ship SPIKE AFRICA are filled with the history, adventure and romance of a by-gone day. 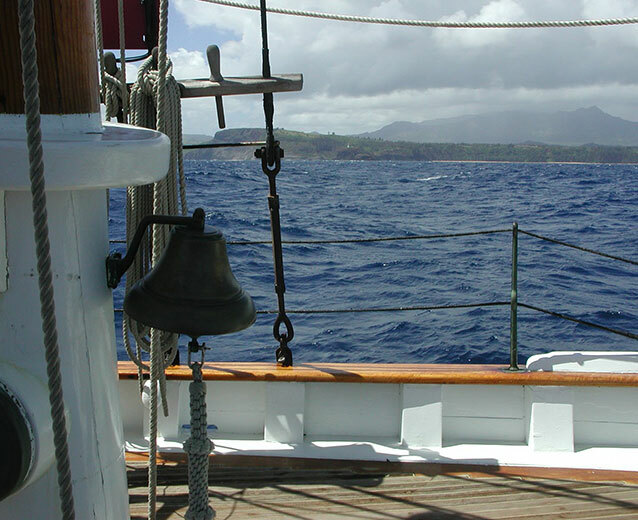 Close your eyes and you’ll hear the wind in the rigging and the water against a wooden hull, smell and taste the fresh salt air, and feel the gentle motion of the boat as she glides through the sea. 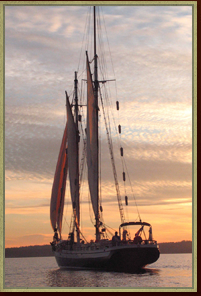 These sensations have been shared amongst seafarers since the dawn of sail. 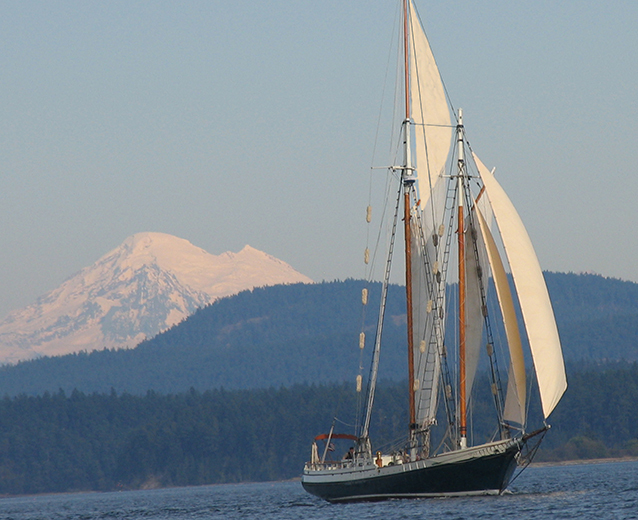 Our sail cruises all depart from Friday Harbor, Washington, USA, and return to the same port. Our office is located at the corner of Spring and Front Streets, next to the Cask and Schooner Restaurant. Inquiries should be directed to info@schoonersnorth.com or 360-378-2224. 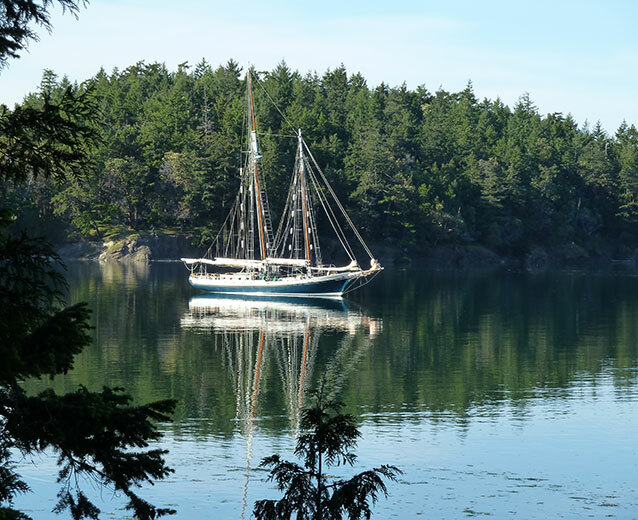 The San Juan Islands were voted the #2 destination IN THE WORLD by the New York Times and there’s no better view of the magnificent San Juan Archipelago and surrounding Salish Sea, than from the deck of our classic wooden sailboat. 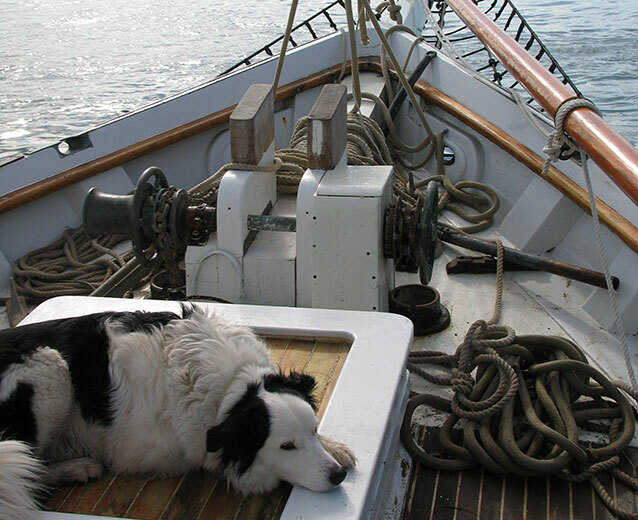 Help sail the ship or relax and let our friendly and experienced crew do the work. 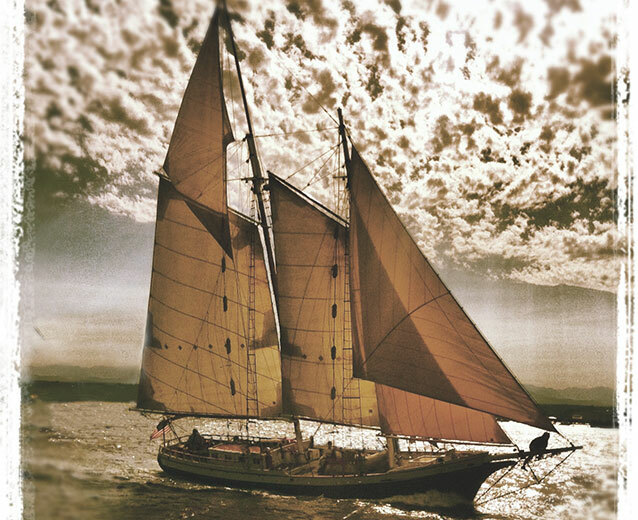 Book Your Sail Charter Now. 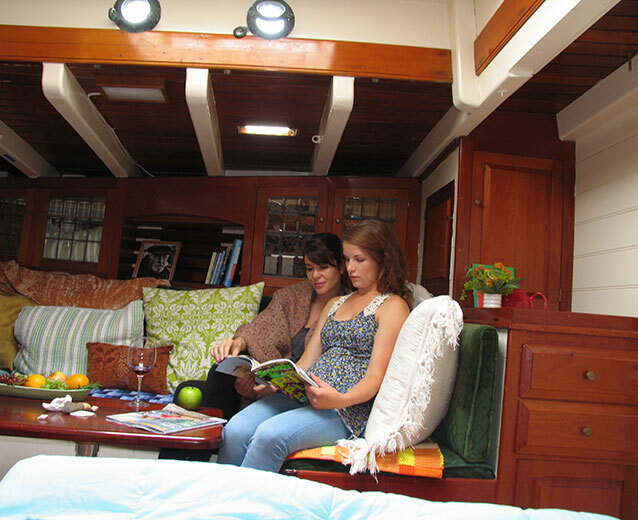 As we sail the channels and visit the quiet bays and inlets, with breath taking scenery in all directions, we’ll be sharing the waters with orcas, otters, seals and porpoises as well as a plethora of other sea life and aquatic birds. 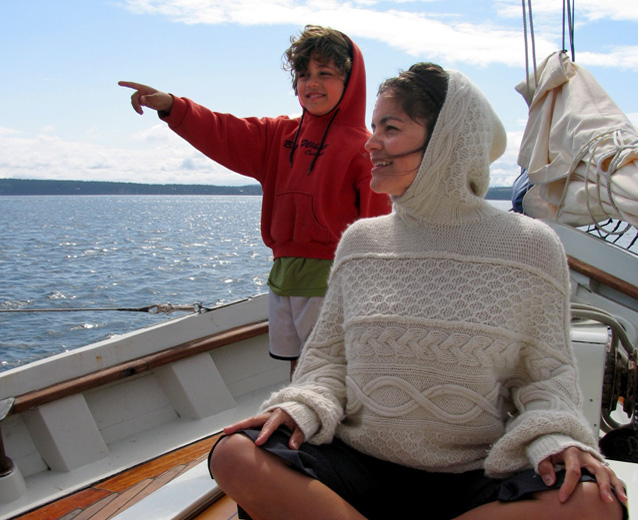 Learn about our fascinating local wildlife from our on-board naturalists. 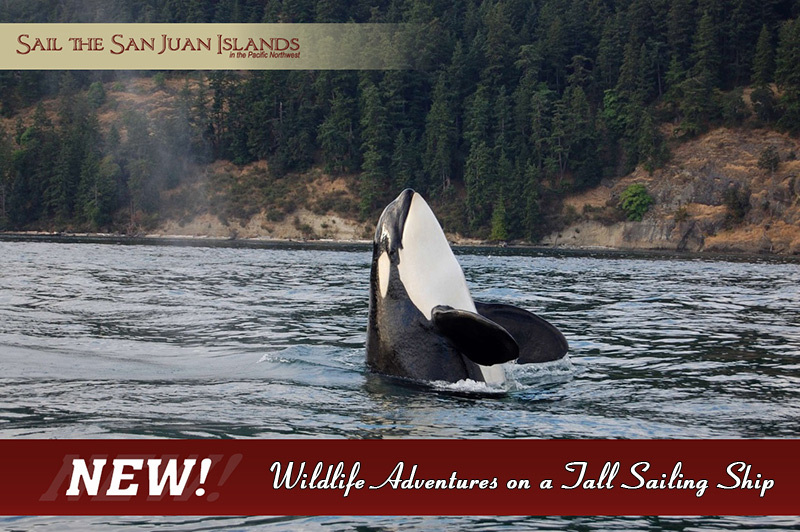 The San Juans have a fascinating history, from their original inhabitants to the islands’ discovery by European explorers. 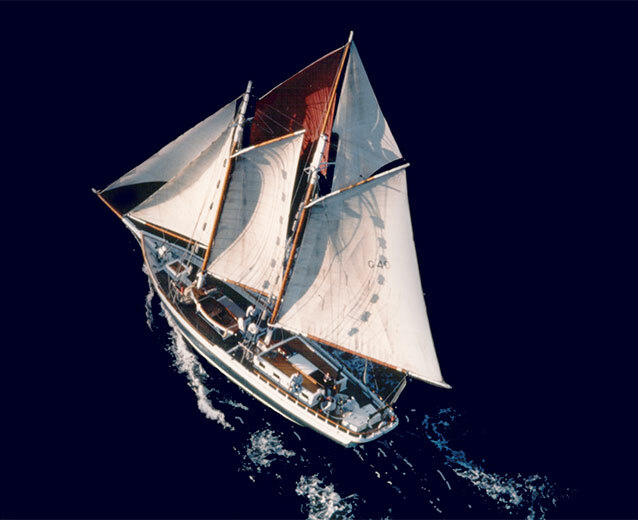 From the Pig War of the 1800’s to the rum-runners of the last century. 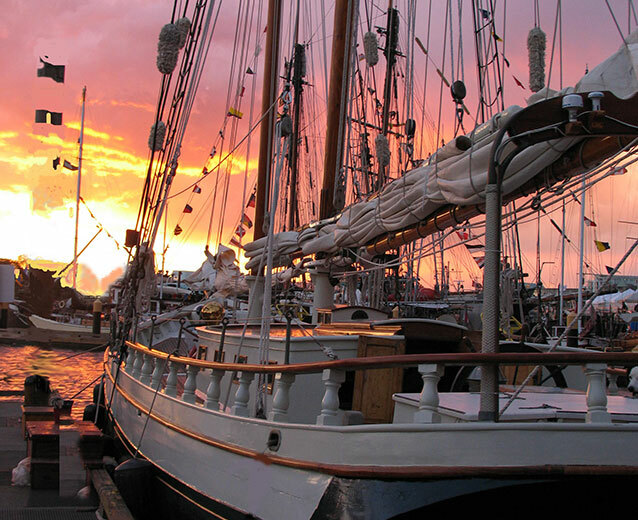 On a San Juan sail charter you’ll be plying the waters of history. 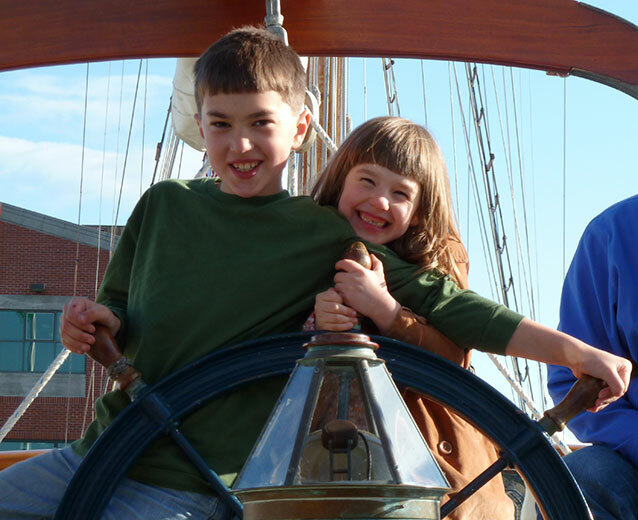 Choose to make our boat and our crew your boat and your crew, for the day, for several hours or for as long as you’d like. 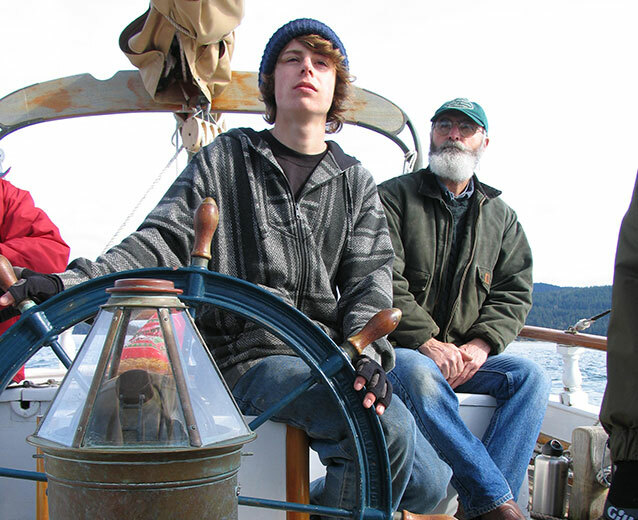 Cruise the NW waters with your family or salty friends. 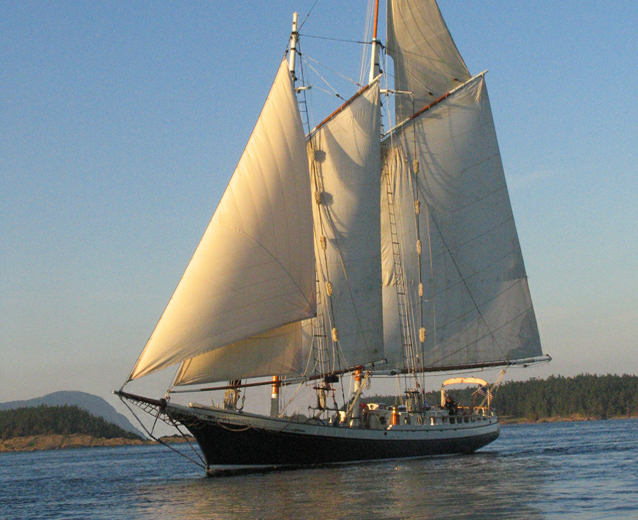 Make our Schooner and our crew yours for 2 hrs or all season. 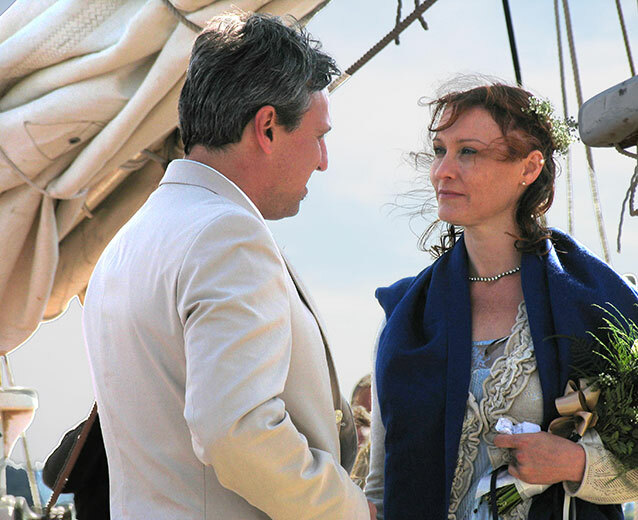 Thru the islands, to the great bear wilderness, to Alaska or wherever your dreams will take you. 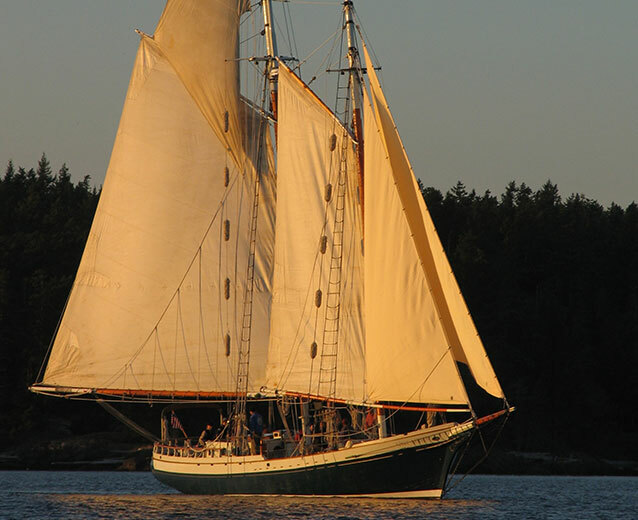 From 1/2 day sailing charters to multi-day sailing adventures, let Schooners North custom tailor your perfect sailing trip. 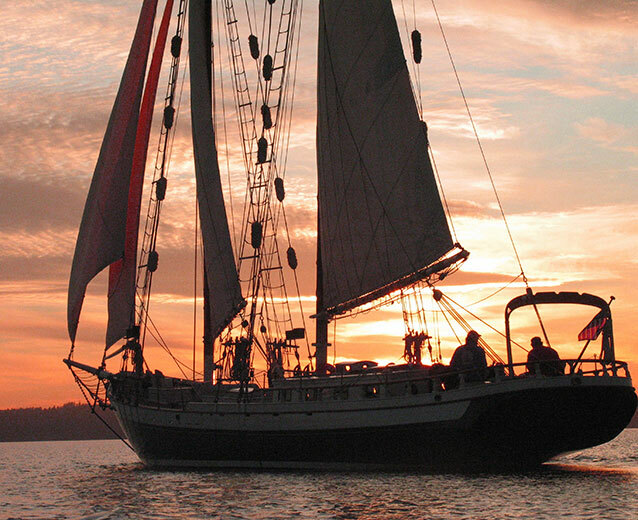 Our experienced and friendly crew is dedicated to making your experience on the water the best that it can be. 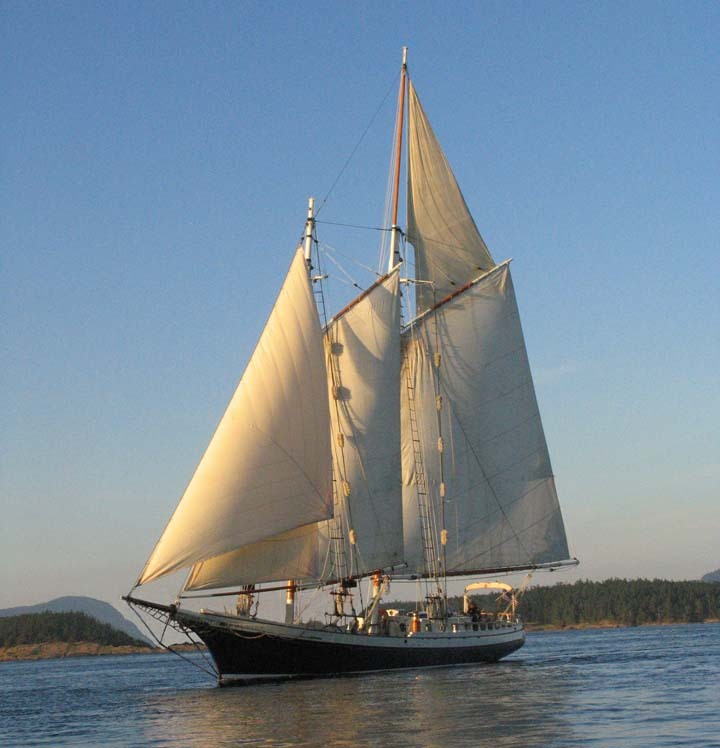 Plan a sail through the San Juan Islands and the Salish Sea.